Optimize and standardize your workflows to make your whole team more effective. In Lucidchart, you can build your workflow diagram online in order to finalize and clearly communicate processes. Easily create, design, share, and collaborate on workflow diagrams to clean up and standardize any process. 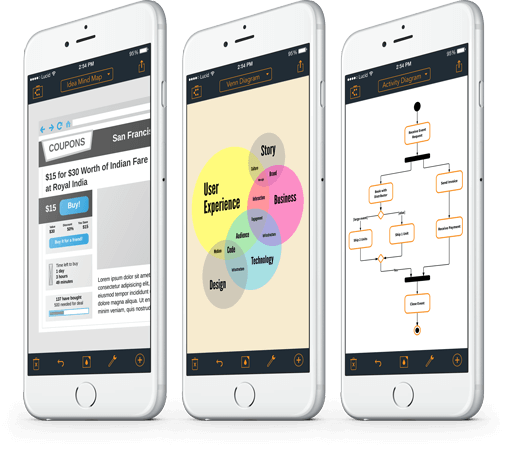 Lucidchart acts as the perfect workflow design tool—this cloud-based platform allows you to diagram on any platform or device. In Lucidchart, there’s no barrier or learning curve to start documenting your workflow—you simply need to drag and drop shapes onto the canvas. Our workflow software also includes templates and shape libraries that accommodate both first-time diagrammers and seasoned business process modelers. In our workflow diagram software, you can create current- and future-state diagrams that look professional and speak for themselves. Because Lucidchart was built for collaboration, you can easily share your diagrams to confirm the accuracy of the current state and get approval on the future state. Use clear, digestible visuals rather than blocks of text to clearly explain workflows to your team. With Lucidchart, you can store your workflow diagrams with other documentation in G Suite, Confluence, Jira Software, and Microsoft Office. 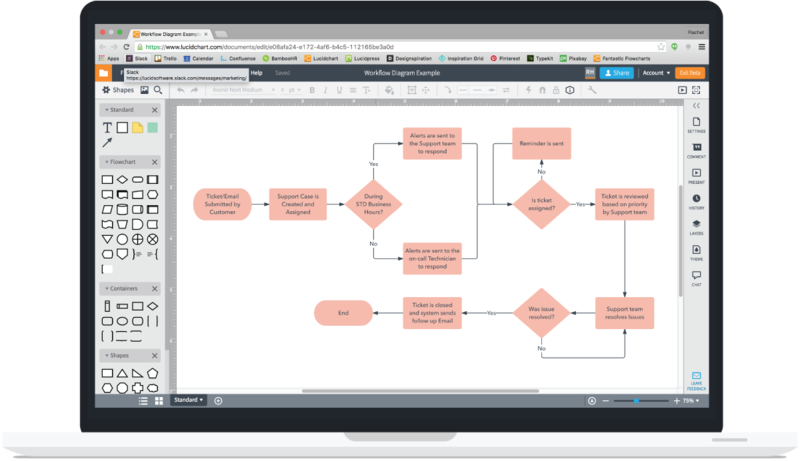 See where Lucidchart stands apart as the ideal workflow diagram generator. Don’t add more work to your plate. Start building your workflow process immediately, thanks to our intuitive drag-and-drop functionality. Lucidchart gives you access to all the shapes you need, including BPMN and value stream maps. If you invite feedback on your workflow, you are more likely to meet stakeholders expectations and motivate your team to follow the new process. Our workflow software offers in-editor chat, @mentions, and real-time collaboration with multiple users, so you and your team can build a stronger workflow—together. Lucidchart runs on all major browsers and operating systems, including Windows, Mac, and Linux. You can even access your workflow process from our iOS and Android apps if you need to make quick changes or respond to comments on the spot. Store your documented workflows as a reference for your colleagues. With our integrations, you can embed visuals into Confluence, Jira Software, G Suite, Microsoft Office, Slack, and other applications that your company uses daily.